Between our daily coverage and our Notable Releases and Bill’s Indie Basement columns, we post tons of new music all the time here on BrooklynVegan. In an effort to keep track of all the new music we’re excited about, we’re putting together a new playlist each month with many of the songs we love that were (mostly) released that month. Our first one was last month and here’s our second, for May 2018. 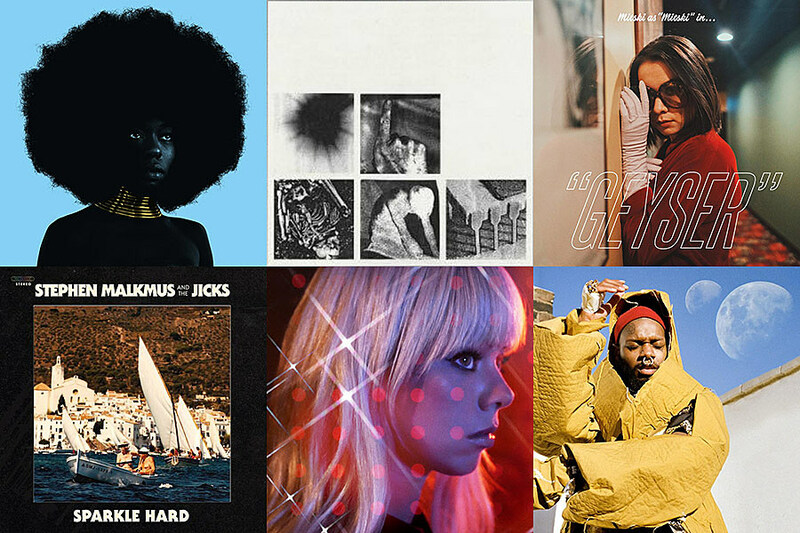 Our May 2018 playlist includes new tracks by Mitski, Ryley Walker, Beach House, Trevor Powers (Youth Lagoon), Chromatics, Jimmy Eat World, Arctic Monkeys, Protomartyr, Nine Inch Nails, A$AP Rocky, Gorillaz, Florence + the Machine, serpentwithfeet, Pusha T, Simian Mobile Disco, Roisin Murphy, Dirty Projectors, Devon Welsh (Majical Cloudz), Stephen Malkmus & the Jicks, An Horse, Neko Case, The 1975, and more.